In its biggest loss of its history, Facebook shares have tumbled nearly 20 percent, wiping out about $120 billion in market value. The company’s previous worst single-day performance was on July 27, 2012, when the stock fell 11.7 percent. According to Forbes, Facebook CEO Mark Zuckerberg’s net worth declined by more than $18.8 billion with the drop. When Facebook stock traded at its all-time high earlier this month, the 34-year-old billionaire had a net worth as high as $86.5 billion. Facebook’s loss was the largest single-day loss in the history of the American stock market. The next highest was when Intel Corp. lost about $91 billion on one September day in 2000. Coming in third was when Apple Inc. lost almost $60 billion on January 24, 2013. Exxon Mobil Corp. also lost $53 billion on one Wednesday in October 2008. The steep decline in stock value comes after the company announced that it expects revenue growth to slow in the coming quarters. The company also announced that it would be investing billions of dollars annually to improve the safety and security of users on its platform. Those revelations, coupled with a steep drop in active users, sent investors fleeing in droves. Facebook has become enmeshed in a number of scandals over the past two years. The biggest was when revelations emerged about the platform’s role in spreading Russian disinformation during the 2016 presidential election. Zuckerberg initially dismissed the possibility that the platform affected the vote, calling the notion “a pretty crazy idea.” He later had to backtrack and apologized for the comment. 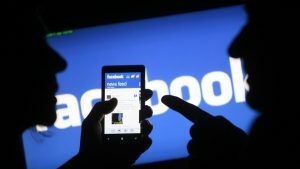 In March, reports revealed political consultancy Cambridge Analytica had used the data of nearly 87 million Facebook users for campaign targeting. Reports of the mishandled data led to multiple inquiries by U.S. officials. The company is currently under scrutiny by the Securities and Exchange Commission, the Federal Trade Commission, the Federal Bureau of Investigation and the Department of Justice.